At Eventique we pride ourselves on the unique 'Boutique' style personal service we offer. Our clients forever appreciate the importance and understand the need of having a Wedding Management team present on the day of the Wedding itself to ensure everything runs smoothly and on time. Our clients essentially become 'guests at their own event'. The Eventique Team are made up of passionate individuals who will ensure that on the day of your Wedding, all you do is sit back and enjoy the celebrations - stress free! Through a series of meetings with the couple and respective immediate family members we start to understand the 'nuts and bolts' of the dream day which you are working towards. We promise to provide a unique 'Boutique' style personal service. Our clients essentially become 'guests at their own event'. A friendly, homely, customised and stress free service. 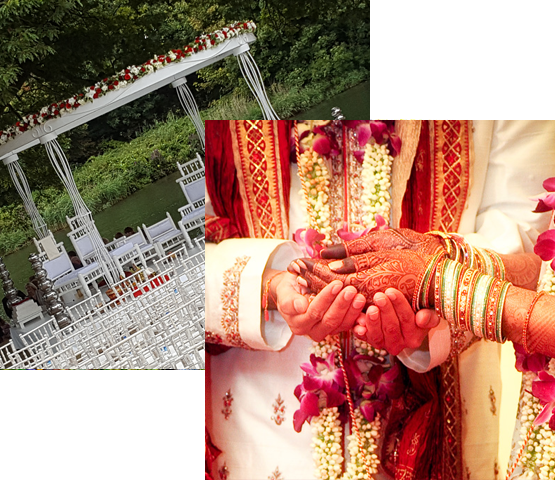 Weddings, Mehndi Nights, Sangeet Nights, Saanji, Engagements (Chundadi / Sava Paanch Ana ceremony), Mehfil Nights, Birthdays, Bhajans and Dinner Dances. © 2017 Eventique. All Rights Reserved.